Located in the village of Les Gets and just one hundred metres from the ski slopes and ski lifts, the chalet offers real comforts with five ensuite bedrooms, a spacious open plan lounge and dining room, large private garden area with outdoor hot tub and views of the mountains, pistes, pine forests and the stunning views looking down the valley. The chalet has its own resident massage therapist who is on hand to provide a range of relaxation treatments to take away those aches and pains after your day on the slopes. 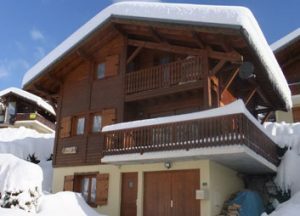 A charming Chalet perfect for a small group of friends or a family looking for a ski Chalet holiday in Les Gets. 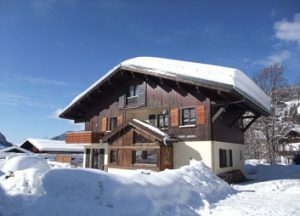 Located right next to a chairlift, a tobogganing area and the pistes, with the shops, restaurants, cinema and ice skating rink just a short walk from the Chalet. Inside the chalet are four beautiful bedrooms with wooden walls and ceilings giving the Chalet a traditional Savoyard feel. The lounge, dining and kitchen area is all open planned with beautiful views from the windows of the surrounding snow covered mountains.